BIROLINI, Carol A. 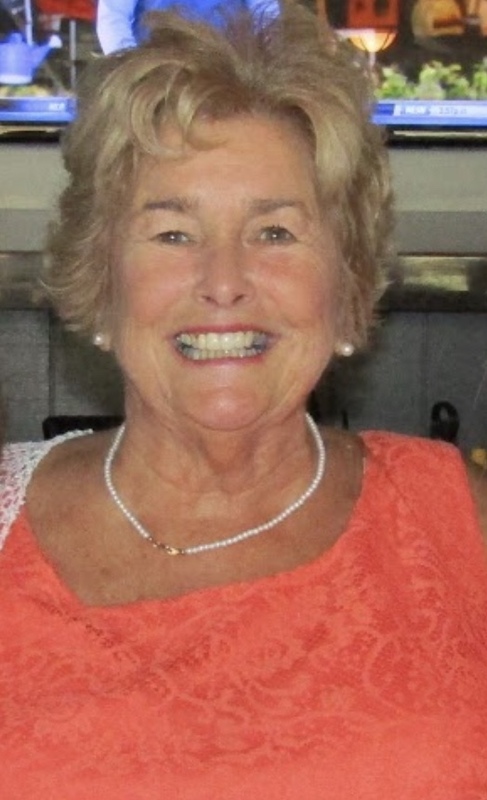 (O’Hara) of Rockland, formerly of Braintree, passed away surrounded by her loving family, on January 26, 2019, at the age of 71. Born in Boston, Carol graduated from Hyde Park High Class of 1965. She worked for many years as an administrative assistant for Stop & Shop in the Quincy Office. Carol was happiest when spending time with her family, playing cards, relaxing at the beach, or showing off her dance moves. She was also a proud member of the Weymouth Elks, where she and Bill could be found volunteering their time to support our Veteran’s, the youth, the elderly, and the Weymouth community. Beloved wife of William McFarland and the late Robert Hickey Jr. and the late Peter Birolini. Loving mother of Dianne Harrington and her husband Patrick of Bridgewater, Daniel Birolini and his wife Ellen of Weymouth and the late Sharon Skellett and her husband Barry of Braintree. Daughter of the late John and Madeline (Lutz) O’Hara. Devoted sister of Fr. John O’Hara, Brain O’Hara and his wife Patricia, and the late Robert O’Hara and his wife Patricia. Devoted sister-in-law to Joseph Berolini and his late wife Betty, Olivo Birolini and his late wife Mildred and the late great Lucia Flynn. Caring grandmother of Hailey Cahill, Megan Harrington, Sharon Birolini, Hanna Skellett, Daniel Birolini, Peter Birolini and John Birolini. Also survived by many nieces and nephews and the McFarland Family. Carol will truly be missed by all who were blessed to have known her. Relatives and friends are respectfully invited to attend memorial visiting hours on Thursday, February 7th, from 4:00 – 8:00 PM in the Cartwright-Venuti Funeral Home, 845 Washington St., Braintree. A Memorial Funeral Mass will be celebrated on Friday, February 8th, at 10:30 in St. Francis of Assisi Church, 856 Washington St., Braintree. Burial will follow in Blue Hill Cemetery, Braintree. Should friend desire, memorial contributions may be made in her name to the American Heart Association.